Today, I played around with light-painting. 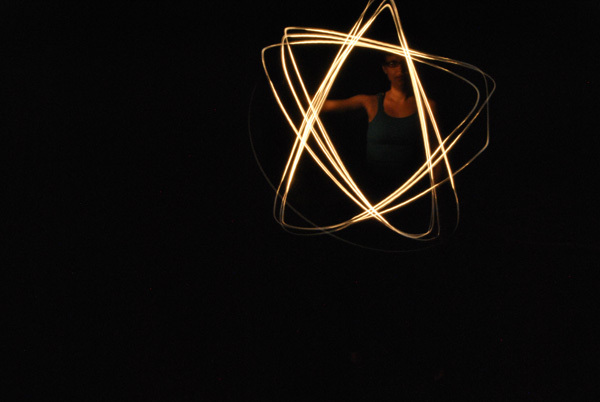 This is a 15 second exposure; I held the light on my face for 5 seconds and then started making the star shape with the light. Felt a bit silly in my mom's yard, but it was pretty fun.